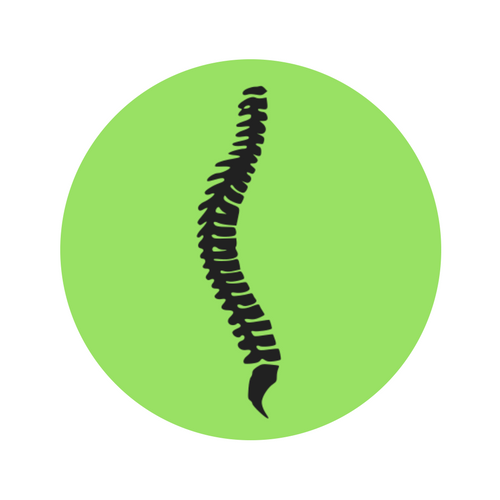 We provide spinal correction and chiropractic adjustments utilizing "state of the art" chiropractic techniques to address subluxation and remove stress from the spinal cord. Subluxation is a condition where trauma or stresses of every day life has shifted individual vertebrates from their normal, healthy positions, impacting your overall health and strength. 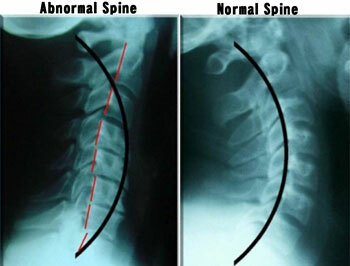 Subluxations are usually the main cause of pain in the back and neck and they weaken and collapse the overall spine structure reflecting in your posture. Never in the history of chiropractic care have chiropractors been able to provide the level of help and expertise that is available today. Many of the newest chiropractic techniques are safer, more comfortable and more effective than ever before. Chiropractic Biophysics is the most researched and scientifically based technique in the chiropractic profession. As a chiropractor who cares about utilizing the most advanced chiropractic techniques, Dr. Scott Van Wilpe has years of training, expertise and experience in helping patients get pain relief for back pain, neck pain, headaches, and other related conditions originating from the spine. Chiropractic care under a trained professional can even be used to prevent injuries and help you achieve your optimal health and wellness. If you're suffering from low energy, brain fog, indigestion, bloating, inability to lose weight, irritability, lack of focus, and overall health decline, your cells maybe chemically toxic. The accumulation of toxins over time leads to the inflammation of your cells, organs, and even your brain. Research indicates that cellular inflammation is the cause of most of the chronic disorders in the United States. True Cellular DetoxTM is a comprehensive approach of cellular healing and detoxifying all of the organs, including removing heavy metal toxins from the brain. Therefore, there is a whole body healing experience and a way to get your life back. "In order to be well you have fix the cell"
What does nutrition have to do with chiropractic care? The goal of chiropractic care is to help patients achieve total health and balance with their body. As part of that goal, we provide specific recommendations on healthy eating and nutritional supplements. Nutritional counseling by our experienced chiropractic health professionals can assist a patient on their return to optimal health. Do you know which supplements and vitamins are good for you? Do you know how these supplements and vitamins interact with one another? At our Rogers chiropractic clinic, we can provide each patient with a structured nutritional program that is based on their individual needs. We use LightForce EX Therapy Laser® by LiteCure Medical, LLC. as an innovative and effective technology that offers relief of pain, reduced swelling, and increased cellular healing of injured tissues. Cleared by the FDA in 2007, the Class IV therapy laser delivers light energy into the patient's body. When this light interacts with damaged cells, cell respiration is improved, inflammation reduced, and nerve conduction slowed for immediate relief from pain. Patients suffering from migraines, musculoskeletal pain, sports injuries, neck pain, back pain, rotator cuff pain, plantar fasciitis or chronic pain conditions now have an alternative to surgery and drugs. The LightForce EX Therapy Laser® offers: Drug-Free, Surgery Free, and Pain Relief. We want to equip our patients to be able to help prevent injury and keep their body healthy. We teach our patients how to perform special "blueprint" exercises which can help strengthen and correct the structural integrity of the spine and irregularities in their body which may be causing pain. Many of these corrective exercises can actually be performed in the comfort of your own home to help improve the effectiveness of your chiropractic care and spinal correction plan. In addition to skeletal misalignment, you may be experiencing pain that is caused by muscles and connective tissues which may have healed incorrectly. Other types of pain such as back pain, neck pain, and headaches are caused by muscles and tissues that are being used improperly and causing injuries over time. In each case, targeted corrective exercises and stretches from our experienced chiropractor will help you feel good while also helping your body achieve balance and health. We recognize that every single one of our patients is a whole person, and we use our expertise to help them reach total health and wellness.Many of our patients come to see our chiropractor to address a specific pain symptom such as back pain, neck pain or headaches. While our chiropractor will address each patient's specific condition with chiropractic care, we often find it helpful to "coach" our patients towards achieving a healthier lifestyle. "I will not give you anything that will waste your time or energy. It's all good and for your benefit."